Ever thought of going to Family Camp? Are your kids a bit too young to send away to overnight summer camps? Older kids scared to take the plunge? Or maybe you’re more worried about separation anxiety than they are? Family camp experiences are a fantastic option – it may seem strange to be thinking of summer camp in your 30’s or 40’s, but more and more people are taking advantage of this opportunity to get away as a family. Instead of sending their kids off to sleep away summer camp, they are going with them! This special setting allows for a unique way to connect with your kids through traditional camp activities, mess hall dining and good old fashioned fun. We have rounded up a collection of summer camps around Vancouver that offer Family Camp weeks or long weekends. Maybe this is just the vacation your family needs this year. A chance to stay local, relax, un-plug, get active & really bond. Please comment below if you have great feedback on any of the camps listed, or if you know of any amazing family camps that we’ve missed! 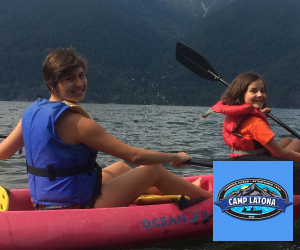 HIGHLIGHTS: Camp Latona Family Camp programs are designed with the whole family in mind and whether your group are avid hikers, ocean enthusiasts, or prefer cosying up to a warm fire with a cold drink, the family camp weekend at Latona is for you. At Camp Latona, the activities are delivered on a recreational, instructional or social basis. Programs are designed to be enjoyed with the whole family as well as programs specific to particular age groups and their signature flexibility can accommodate all of your needs. HIGHLIGHTS: Kakhamela Family Camps focus on providing support and a sense of community to families who have a child living with type 1 diabetes. They welcome anyone in your child’s care-giving community, which may include grandparents, extended family or close friends. This is a fantastic introduction or connection to the D-Camps experience. You and your family will get the opportunity to take part in camp programming in a community of people who understand the day-to-day challenges of living with type 1 diabetes. 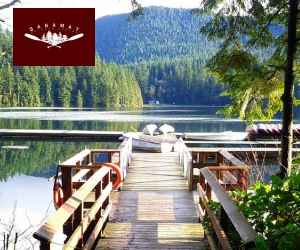 HIGHLIGHTS: Sasamat Outdoor Centre’s summer Family Camp weekends are designed for the whole family. The days are broken into a series of camp activities & games. Participants will be divided into groups based on age. Children and youth will be grouped together and adults will be placed with other adults. 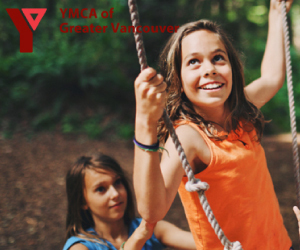 From 10:00 a.m. to 4:30 p.m. on Saturday, Sasamat staff will lead you and your children through exciting, age appropriate programming. important—spending time together. 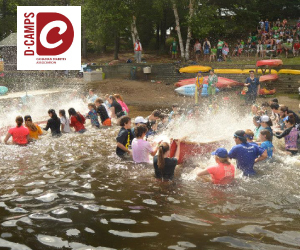 Family campers participate in a variety of camp-favourite activities including organized programs for the whole family. Enjoy watching little ones get a bull’s-eye, or see how brave you are on the high ropes too! HIGHLIGHTS: Includes three meals a day and snacks with brunch on Sunday, as well as use of all facilities at Summit. All activity areas will be open so feel free to bring out that inner child and participate along side the children! 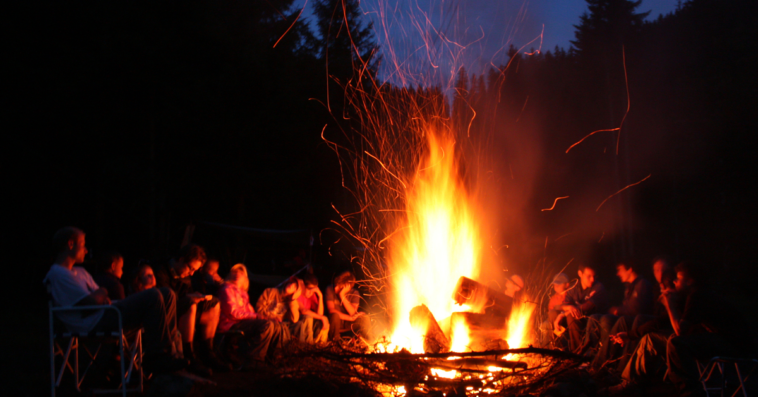 Enjoy evening campfires + s’more making/roasting marshmallows and much more! 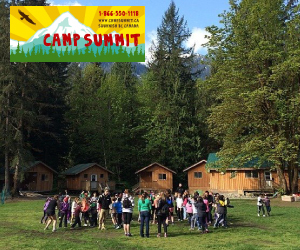 Whether your family chooses to take part in all the adventurous activities Camp Summit has to offer, or chooses to bask in the sunshine and relax, you’re sure to have a great weekend! 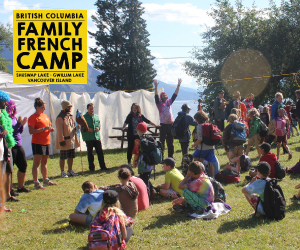 HIGHLIGHTS: Children from French Immersion or Programme Cadre bring their families along to camp. Families camp in their own tents or trailers. Together, everyone forms a friendly neighbourhood, surrounded by the sounds of children playing and singing in French. And parents don’t have to be able to speak French!